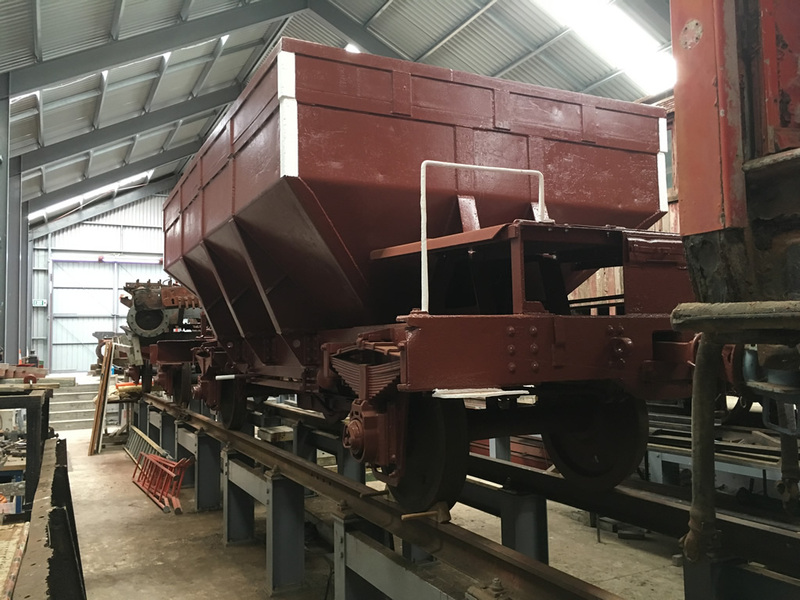 In September work started on repairing and restoring a sixth ballast wagon - Yc877. 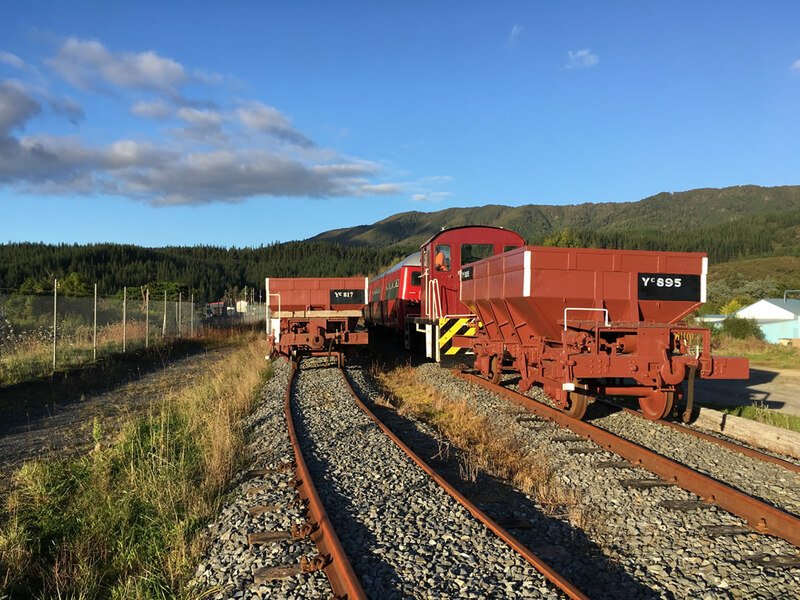 The ongoing programme of work is lifting the overall presentation and standard of the 13-strong fleet. 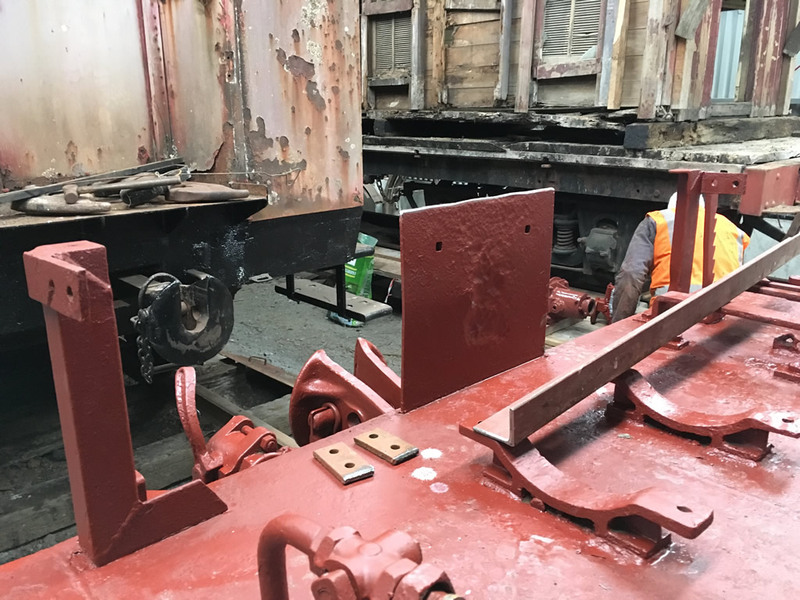 The hopper, underframe and running gear receive attention, and care is taken to clean down and paint the hard-to-reach areas. 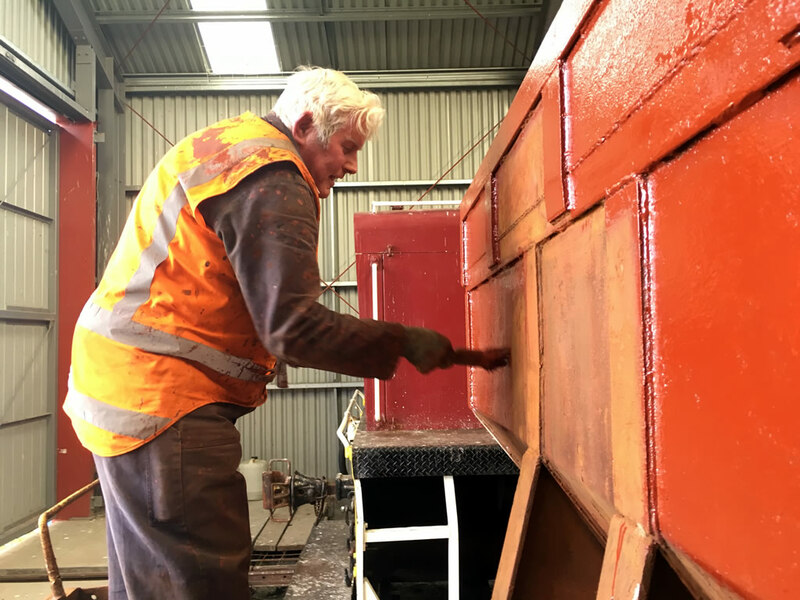 Ron Jones - one of the key people in the maintenance team - with Yc877, the sixth wagon to get the "treatment"
Ron applying the first coat of primer to the hopper of Yc877 on 26 August 2017. Yc891 needed a lot of repairs to the ballast guards and carrying frame, a mix of new material and patches welded in. 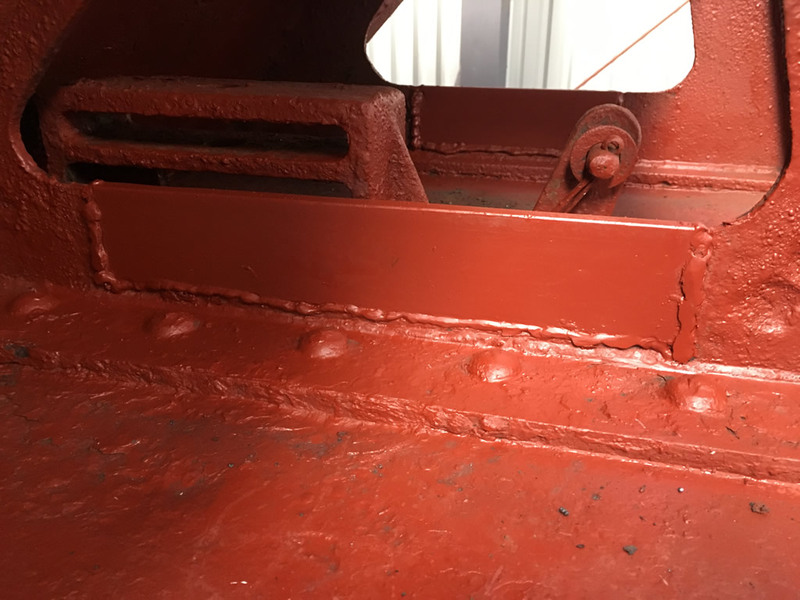 The hopper brace stiffening supports needed extensive patching. A lack of rain-washing in this area would appear to accelerate the corrosion. 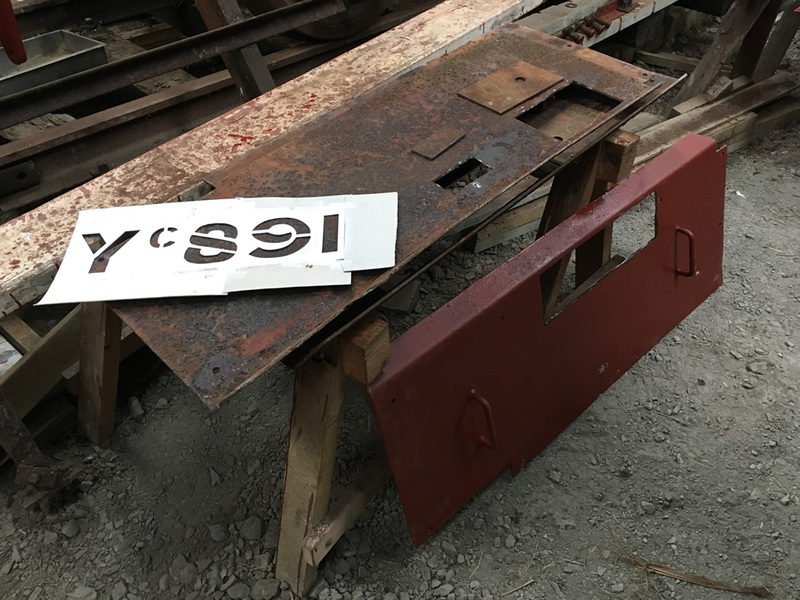 Ballast cover plates prepared for welding in patches for Yc891. Also in shot is the stencil used for sign-writing the wagon. 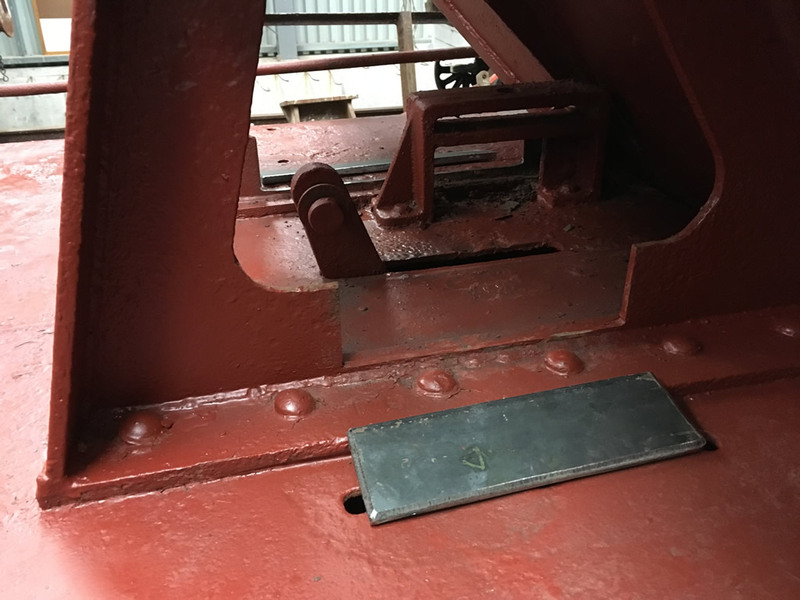 Hopper support bracket patches welded into place on Yc891 in September 2017. 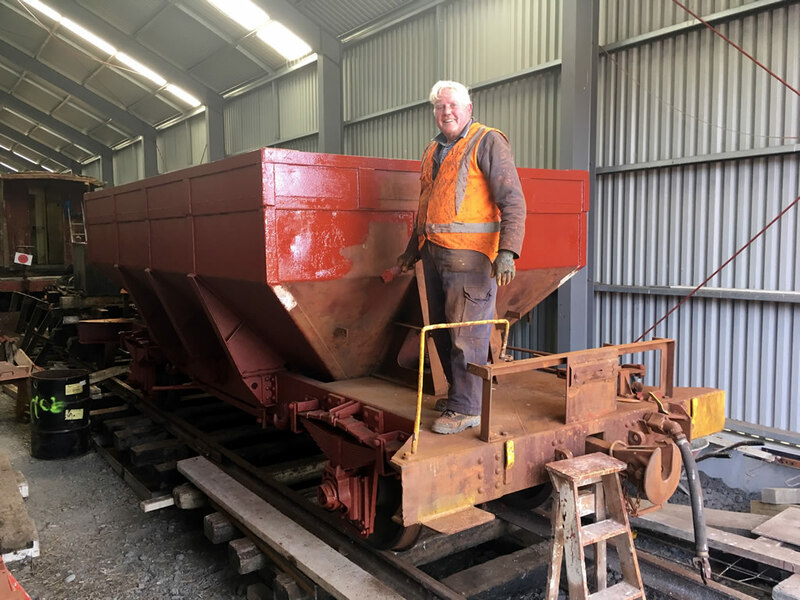 Yc726 on the inspection pit receiving hopper repairs in January 2017. 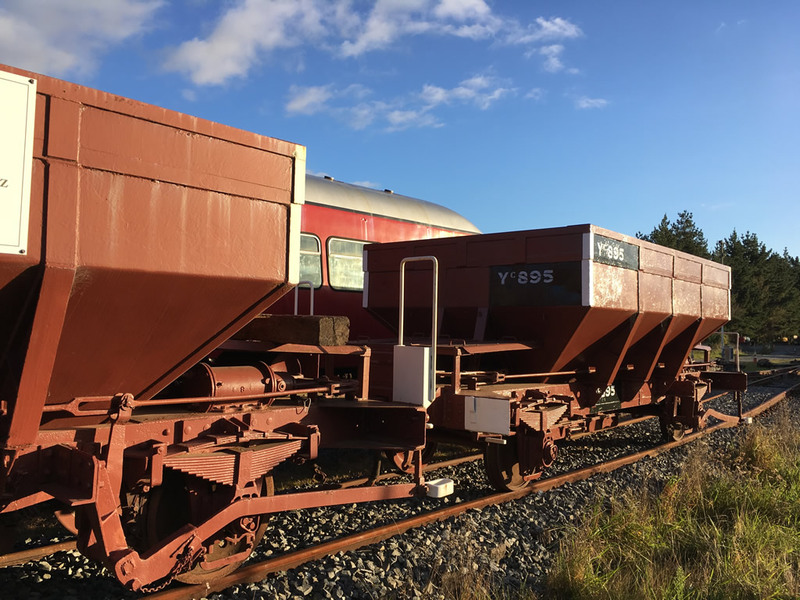 Tr189 shunting ballast wagons at Maymorn in April 2017.